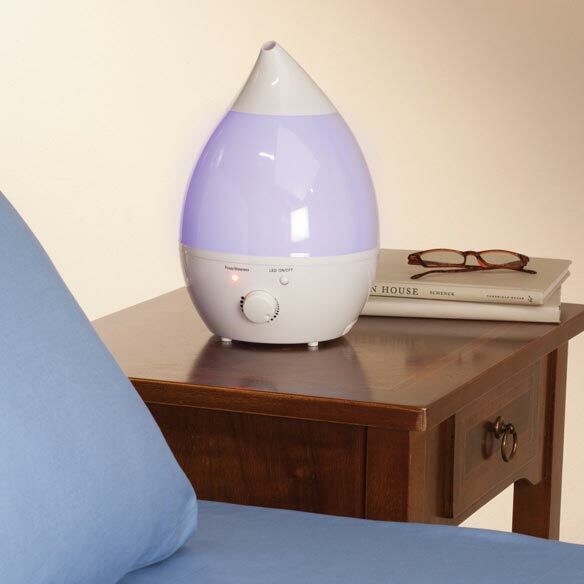 Breathe easy — ultrasonic room humidifier fills your living space with a gentle mist that's good for you and your home. Increased humidity benefits your health by preventing dry lips and throat, itchy skin and nasal congestion, and often is recommended for all-natural relief from the common cold. In your home, it helps alleviate static electricity, cracked furniture and other surfaces. This quiet, 2.4L air humidifier runs 26 hours at lowest mist option and 12 hours at its highest setting, for low-maintenance enjoyment. Whisper-quiet operation — less than 35 dB(A). 360° nozzle directs mist where you want it. Variable control settings and LED on/off indicator for easy use. Water tank lights up with a soft blue glow that can be turned off. 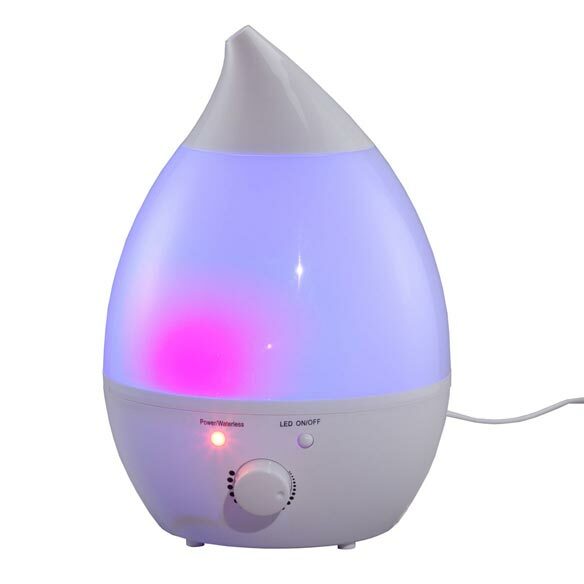 Ultrasonic humidifier automatically shuts off when empty. Fills a 352–378 sq. ft. area. 26 watts of power, 220 volts, 50 Hz frequency. 7 1/2"W x 11"H x 7 1/2"D with 45"L cord. I need a small unit I am unable to carry big ones. The doctor said I need moister in the air to help my nose bleeds. Have been told by doctor to use humidifier . My house is very dry in the winter due to the heat being on all the time. This looks like it will take care of the problem. It's small and looks good. It appears to be attractive and useful. 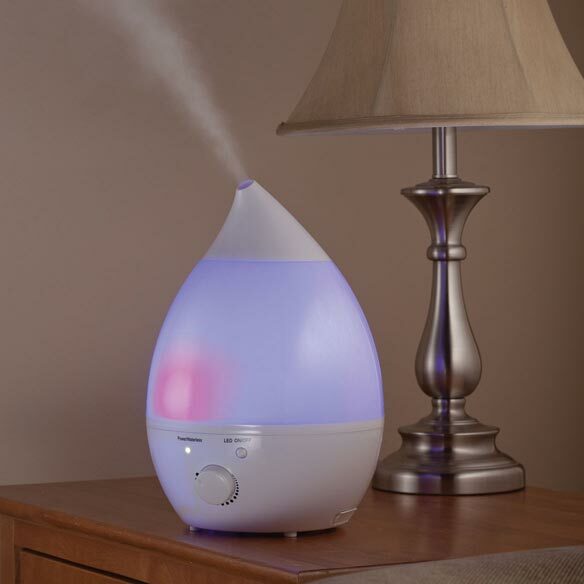 Does this humidifier use a filter? BEST ANSWER: Thank you for your question. There is not a filter. We hope this information will be of help to you. is this a cool mist and does it require a filter? BEST ANSWER: Thank you for your question. There is not a filter and it emits a warm mist. We hope this information will be of help to you. Could this be used as a defuser for oils? BEST ANSWER: Thank you for your question. Unfortunately the oils cannot be used with this item. We hope this information will be of help to you. Yes there is a spot where you can put the oils.